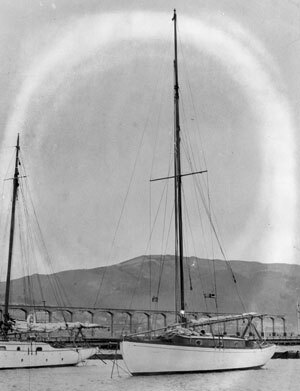 Ten sailors died during the disastrous Centennial Yacht Race from Wellington to Lyttelton, New Zealand in January, 1951. The yacht Argo. Photo: Archives NZ on Flickr. One of the yachts, Argo, disappeared without a trace, despite hopes that her crew might be able to communicate by radio. 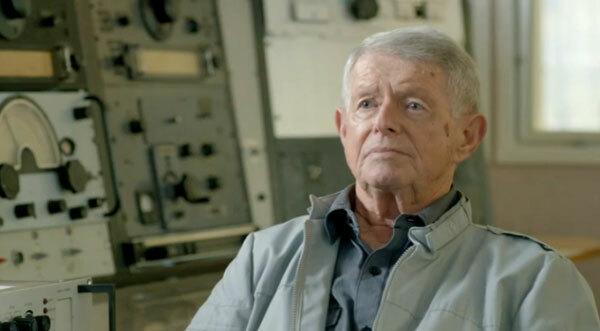 A television documentary produced in 2015 as part of the Descent from Disaster series, included recreated scenes shot at Musick Memorial Radio station. 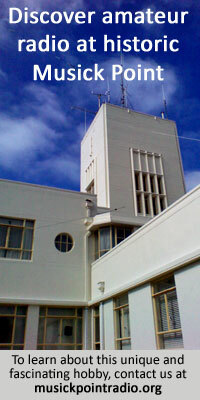 Former Auckland Radio operator Ramon Chandler, a member of the Musick Point Radio Group, was interviewed for the programme. 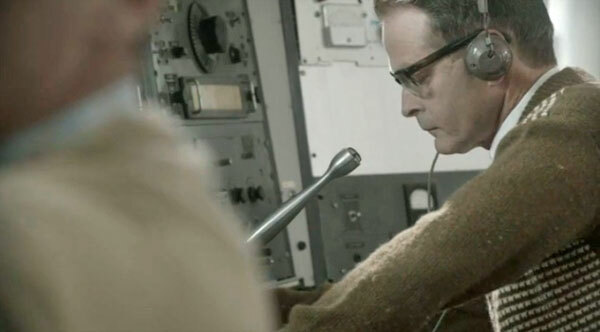 The producers also filmed a re-enactment of the radio watch that was maintained around the country for the missing yacht Argo. 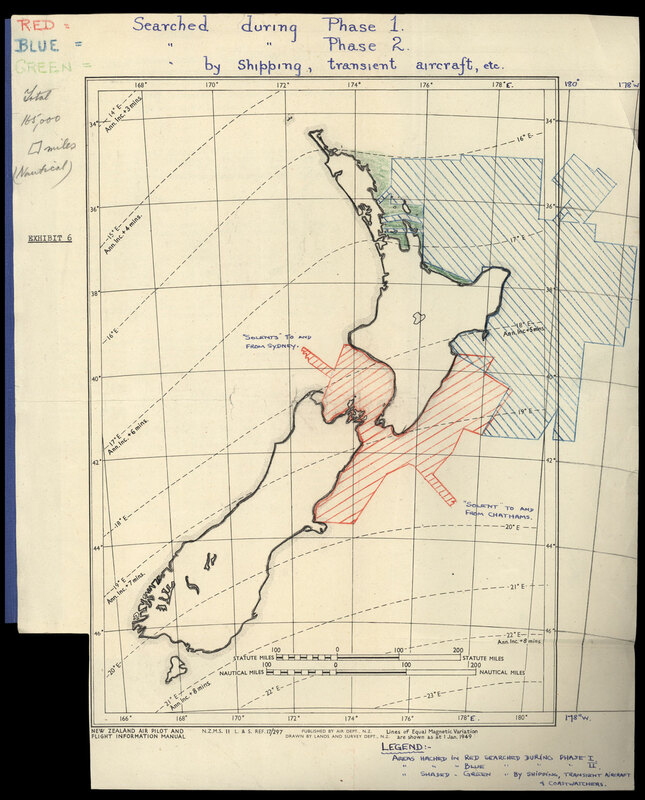 An extensive search was made by the RNZAF and civil aviation operators for the yacht Argo, and this map shows the 566,000 sq km area searched, at a cost of £70,000. The search was officially called off on 12 February. No trace of the yacht was found. Photo: Archives NZ on Flickr. Click to enlarge. Re-enactment of the radio watch for the missing yacht Argo, filmed at Musick Memorial Radio Station.